My buddy texted me he was able to pre-order one. I took a look online and think it's a sharp car, but I wish it had more torque. He said his config is manual with soft top. Last edited by Johnhav430; 02-08-19 at 08:05 AM. Congratulations to your brother...best of luck with it. On the torque issue, no, it's not a powerhouse (and yes, the engine is indeed peaky)...but carry the RPMs to 3500-4000 or more when shifting, particularly in the lower gears, and you will feel some response, with the seat pushing you in the back. One of the outstanding features of the Miata is (and has always been) the simple foolproof manual-top operation. Assuming one does not have a sore arm, hand, or shoulder, it is, by convertible standards, the textbook definition of simplicity. Early models had a double-latch over the windshield-header...later ones a single latch. Just flip the latch-lever open, push up and back/over on the fabric top, and it folds up and drops (by gravity) down into the well right behind your seat. Reverse the procedure putting it back up, and snap the lever shut. At the D.C. auto show, the Mazda folks like me because I often sit in the floor-display Miatas and flip the roof up and down for showgoers, demonstrating how easy it is. A lot of folks still can't believe how easy it is until they sit in the car and try it themselves. Mazda did come out, several years ago, with a power-hardtop version, but I see little use for it unless one is disabled. Oh...and last, did your brother look at the Fiat 124 Spyder? 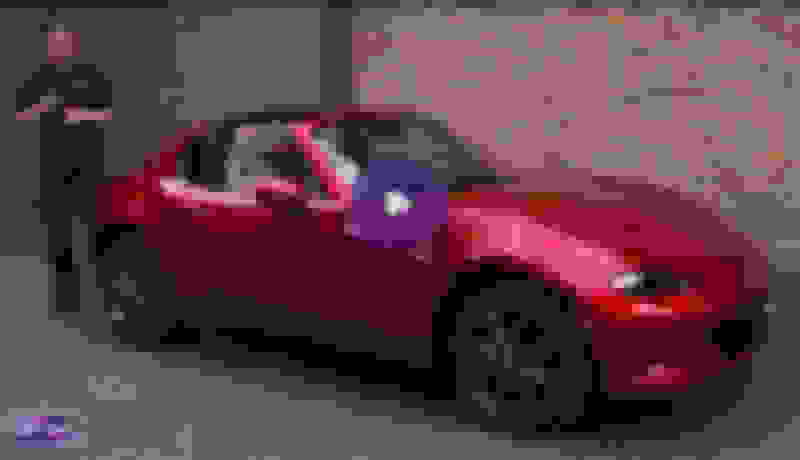 Unlike other crappily-built Fiats, except for the engine, it has most of the Miata's reliable mechanicals.....and IMO is significantly better-looking than the Miata, both front and rear. The sparse Fiat dealer-network, though, is a barrier to a lot of folks....often gotta travel too far to get to one. Last edited by mmarshall; 02-08-19 at 01:07 PM. One of the outstanding features of the Miata is (and has always been) the simple foolproof manual-top operation. Assuming one does not have a sore arm, hand, or shoulder, it is, by convertible standards, the textbook definition of simplicity. Early models had a double-latch over the windshield-header...later ones a single latch. Just flip the latch-lever open, push up and back/over on the fabric top, and it folds up and drops (by gravity) down into well right behind your seat. Reverse the procedure putting it backup, and snap the lever shut. 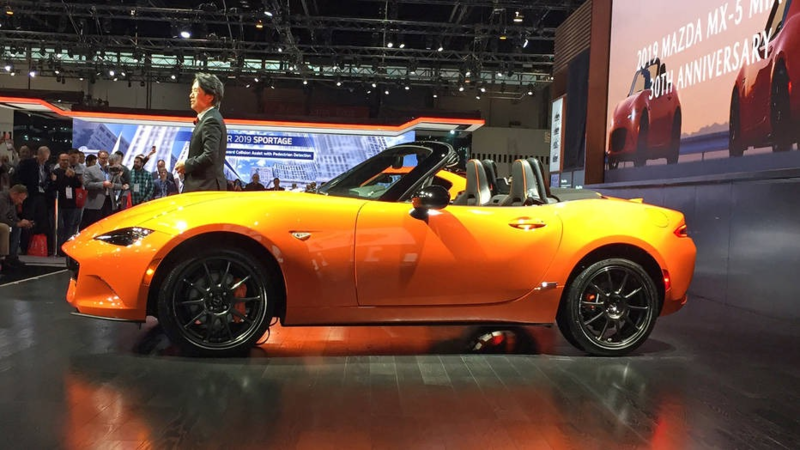 At the D.C. auto show, the Mazda folks like me because I often sit in the floor-display Miatas and flip the roof up and down for showgoers, demonstrating how easy it is. A lot of folks still can't believe how easy it is until they sit in the car and try it themselves. Mazda did come out, several years ago, with a power-hardtop version, but I see little use for it unless one is disabled. hehe actually my buddy. He already has 3 cars and is not married, and he was gonna get the M2 comp. So he surprised me when he texted about the MX5. My brother got the Ford Raptor. That's ok I can live vicaroiusly through others!! 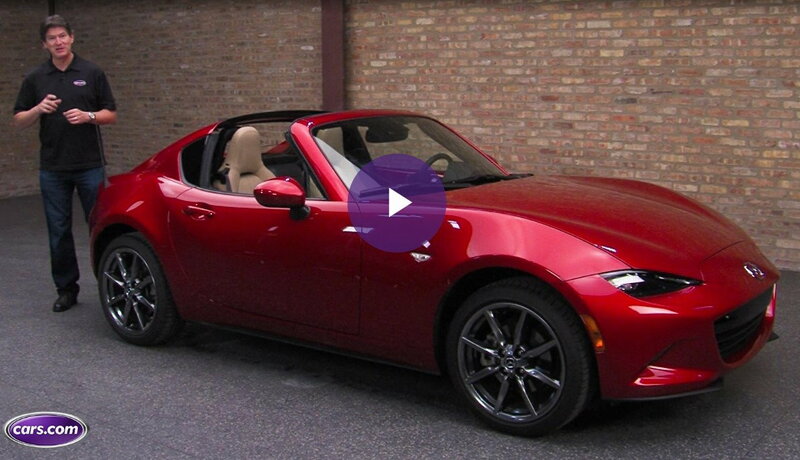 Mazda is probably wishing now that they had planned a more generous run of 30th Anniversary Edition Mazda MX-5 Miatas, because it took four hours for all 500 examples allocated to the U.S. to find homes, out of a global run of 3,000 cars. That's where I disagree with some posters. I don't mind a gap at all...in fact, in some ways, the more, the merrier. It makes it easier to get a hose up in the well and clean out all the crannies and inside lip-edges that even the spray from an underbody-wash may not be able to reach. Miatas aren't usually driven in the snow, so road-salt is usually not a problem, but the dirt alone, if not removed over time, can be harmful. Actual MX-5's at road height are about half what you see in that pic, maybe jacked up to clear display light etc. I have driven all the MX-5's in LA traffic, top up & down. Power with the slick 6-speed manual is good with one person in the car if you aren't afraid to rev it & shift quickly. The Club Sport option makes it better with the BBS wheels & bigger brakes. I’ve got a pretty heavily modified NC Club 6 speed. The engine is more than adequate as the car itself is so light and the clutch is easy to modulate too so it’s pretty easy to get off the line. Miatas aren’t about stoplight drags, though, they are all about carrying insane speeds into a corner and maintaining speed through the corners. The main thing with the Miata is its anility to cover ground reasonably quickly without much braking. Yeah that wheel gap is not normal...has to be something with that preproduction model...ride height looks high too, especially in front. Might (?) be tires with lower sidewalls than what is scheduled for regular production.....I've seen that at auto shows before, but not necessarily on a Mazda product. Rubber-band tires and/or smaller wheels could make a larger-than-intended gap, although personally, I see nothing wrong with a gap to start with. I've only driven a Miata once, and you guessed it, for a gift card. This was likely early 2000's, and it wasn't far enough to appreciate the car. I've driven a relative's Z3 extensively and didn't really find it to be that great, but it was a '95 4 cyl. with auto (lame right?). I can imagine this car being pleasurable to drive. My buddy is excited. I asked him if he thought the value could go up, and he said no, but it likely will stay high due to the number being only 500.
not so... every one i've seen looks jacked up. Yeah those do look jacked up, weird. I don't recall feeling that way seeing them in person. Probably because the MX-5 is nearly 9 inches shorter than something like a Lexus ES. It's just a low vehicle. From eye-level, it's not as easy to notice the wheel gap. And this is coming from someone whose car also has egregious wheel gap, lol, so maybe I am somewhat biased.